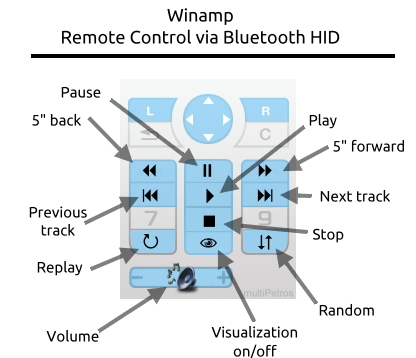 Bluetooth HID is a lightweight wrapper of the Human Interface Device protocol defined for USB. The most of SonyEricsson’s no-smarthpones support this Bluetooth Profile for remote controling desktop programs such as presentation viewers and media players. 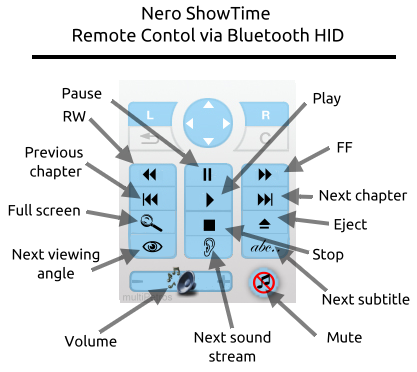 Here are 3 HID profiles targeting 3 popular media players: the Nullsoft Winamp, the Cyberlink PowerDVD and the Nero ShowTime.